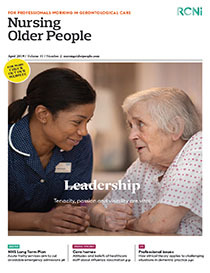 This article draws on a range of case study examples from dementia care and explains how ethical theory can be applied to enhance professional practice. Ethical concepts are critically examined in this context and tensions between them are explored. The article demonstrates how an established ethical framework can assist with application in practice situations. It also argues that cultivating virtues, such as courage and receptivity, is an essential aspect of providing ethical nursing care for people with dementia.